Samsung staked its claim to the high end of the smartphone market Thursday, unveiling two large-screen handsets and its new mobile payment system as part of its challenge to Apple. The moves are aimed at keeping the South Korean giant atop the global smartphone market and countering its US rival Apple, which has made gains with its large-screen iPhone 6 (Review | Pictures) and iPhone 6 Plus (Review | Pictures) and its tap-to-pay feature. 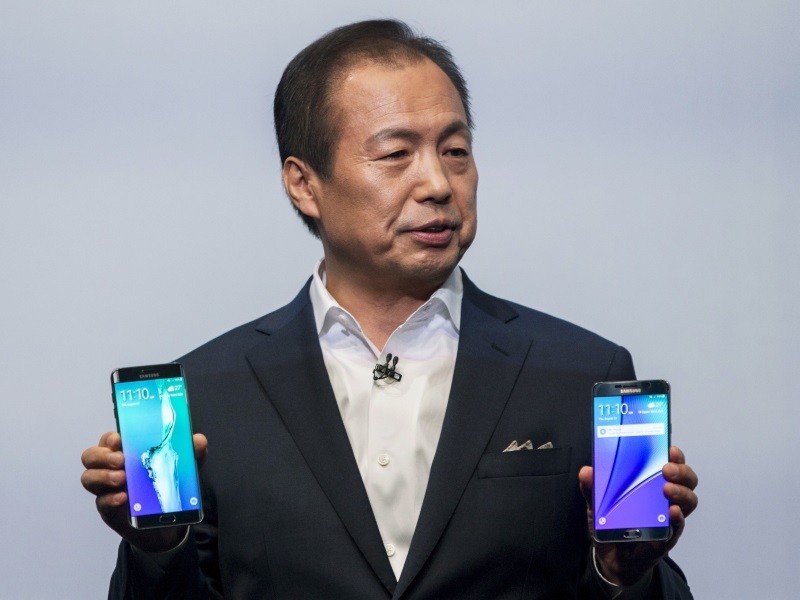 At a New York media event, Samsung unveiled its Galaxy S6 Edge+, the latest update for its flagship handset, and Galaxy Note 5, its main device in the “phablet” market. “Today the journey continues in the large-screen category that Samsung created,” said J.K. Shin, Samsung’s head of IT and mobile communications. The Galaxy S6 Edge+ and Galaxy Note 5 each have a 5.7-inch display, but the S6 has smaller overall dimensions and a curved “dual edge” screen that sets aside a portion of the display for contacts or other content. The company also announced that its Samsung Pay service would roll out in South Korea on August 20 and in the United States on September 28, and that it would launch in Britain, Spain and China with partners to be named in each market. Samsung said its mobile service can be used with magnetic stripe terminals as well as those using updated NFC or “near field communication” contactless payments employed by Apple Pay. He added that Samsung Pay will be secured by its Knox software, which creates a one-time code without transmitting credit card numbers. Samsung has remained atop the global smartphone market even though its sales have been slipping in the past year. With the new devices, Samsung expands from its 5.1 inch display on the existing Galaxy S6, and leapfrogs Apple’s handsets at 4.7 and 5.5 inches. The new handsets, which have Samsung Pay and wireless charging options integrated, will go on sale in the US and Canada on August 21, said Samsung, which did not announce specific launch dates for other markets. The Galaxy Note 5 is the upgraded version of the phablet which Samsung is generally credited with popularizing. The new device has a new pop-out pen stylus and shares its upgraded 16-megapixel camera with the Galaxy S6 Edge+. Kantar Worldpanel analyst Carolina Milanesi said Samsung trailed Apple in the phablet market devices with screens at 5.5 inches and above in the second quarter. Ramon Llamas, analyst at IDC, said the launch appears aimed at getting ahead of Apple, which is widely expected to announce its own upgrades later this year. “This is a calculated move to avoid the marketing onslaught of Apple in September and October,” Llamas told AFP. According to IDC, Samsung led the smartphone market in the second quarter with a 21.7 percent market share, even though sales dipped from a year earlier and its market share was below 24.8 percent in the same period a year ago. Apple, which briefly took the lead in the fourth quarter of 2014 with its new iPhones, saw its market share rise more than two points from a year earlier to 14.1 percent, IDC said. 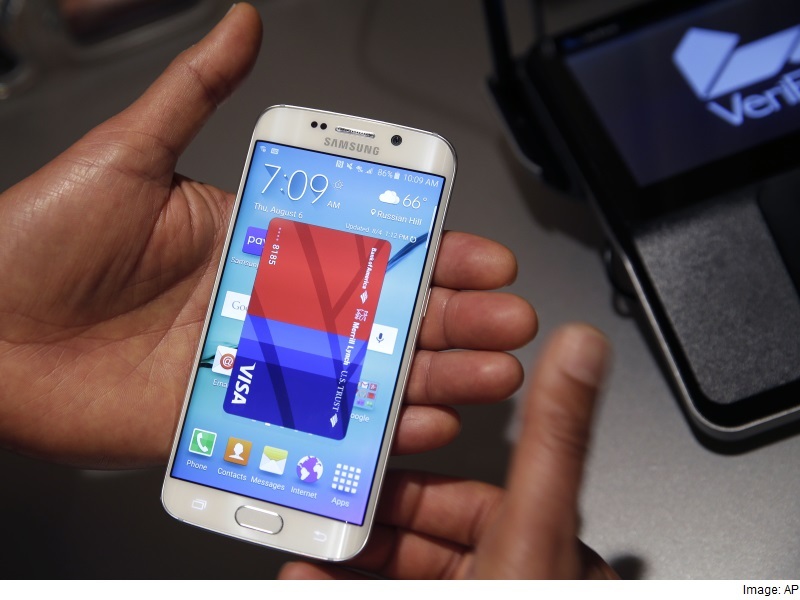 Gleeson said Samsung Pay faces challenges because of the head start by Apple and Google’s Android Pay. “Unlike Apple which has accumulated 800 million payment card accounts associated with iTunes, Samsung lacks this critical element for its payment service to quickly gain traction,” he said in a note to clients.